Today we imagine Egyptian magic through the lenses of the Bible and films. But what was the 'actual' role of ancient Egyptian magic in the royal palace when the king received foreign delegations? Imagine you are an upper class Hittite. In your own country you serve your king and live a comfortable life in a spacious estate surrounded by many exotic luxury goods. You have the respect of your peers and command the service of the rest of the population. As a friend of the king of Hatti you are also well-versed in foreign politics, and so you are assigned to visit the king of Egypt and deliver gifts. So you gather your horses and servants to load your caravan for the trip south. After traveling for a few days and nights, you are met by the embassy of the king of Egypt who welcomes you and showers you with kindness and compliments. The new travel mates provide extra protection for the precious goods you are bringing. As your caravan reaches the Nile, there is a ship waiting and you sail in comfort to meet the pharaoh. An Egyptian envoy has told you that their king is god on earth with no equal, who will expand the borders of Egypt both north and south. Such veiled threats weigh heavily; there is pressure not to strain diplomatic relations between your king and the king of Egypt. In fact, the safety of your friends and family potentially rides on your proper behavior in the presence of the pharaoh. You know to follow the rules of the court in his presence; bow low in obedience, and reiterate your country's loyalty. The next morning your delegation presents the gifts to the pharaoh. When you are brought before the king you prostrate low to the ground, with your head on the stone floor. You lay as if dead. The king orders you be lifted to speak and it is that moment you are brought to your feet and take witness of your surroundings. And this is where the magic happens, literally. In the audience hall the king is surrounded by palatial decorations, many of which depict foreigners, that is to say, you. The most common of these depict a Nubian and a Levantine as captives with their arms bound behind their backs. 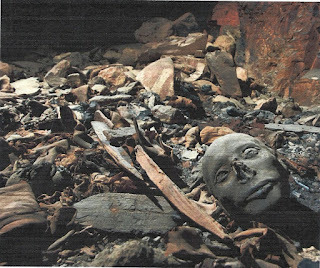 These images of captive foreigners mostly adorn areas where they are stepped on by the pharaoh. 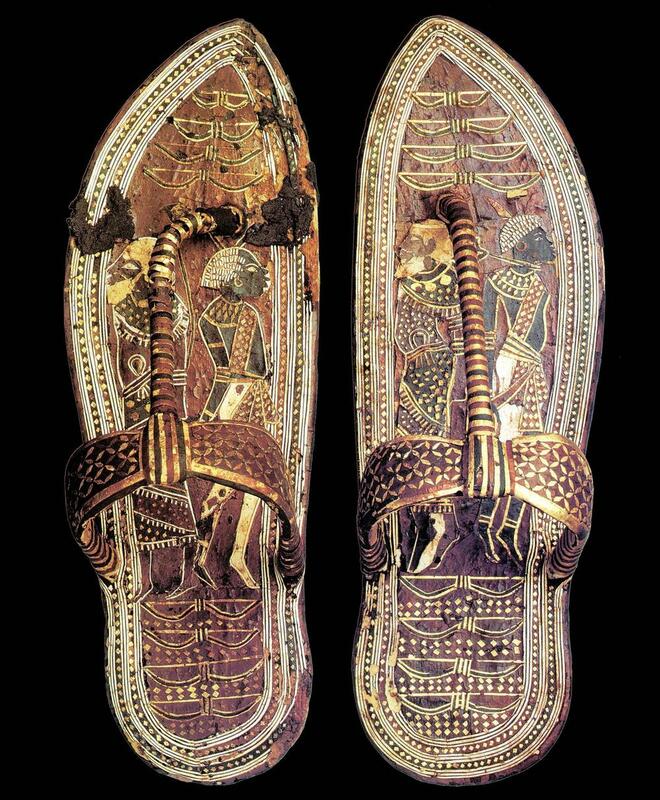 In Egyptian ideology, the objects evoke the Egyptian idea written on one of king Tutankhamun's footstools, "every foreign land is under your (the king's) sandals." These images were tools of political intimidation when seen by foreign emissaries but they also functioned on a supernatural level. Many images of captive foreigners being crushed by the king were placed where they were not visible to palace visitors, for example the gilded arm of Thutmose III's throne and Tutankhamun's sandals and footstool. This imagery of destroying foreigners was not for the sake of foreign relations but because through Egyptian magic, images affect reality. The crushing of images has real life consequences. In the king's act of walking, or sitting on his throne, he is, through sympathetic magic, dominating all the people in the world. Foreigners were also the paramount symbol for the concept of "chaos" since the beginning of Egyptian history. Through captive foreigner imagery the king is performing one of his primary roles of destroying chaos and keeping cosmic order. To the Egyptians, the king is shaping the invisible world and the tangible world as he sits on his throne. He is performing a supernatural action of crushing the foreigners while he greets real-life foreigners in the audience hall. Adding to this, the king is aware of his pivotal role in the universe even though he is corresponding with "brother kings" as if they were equals. 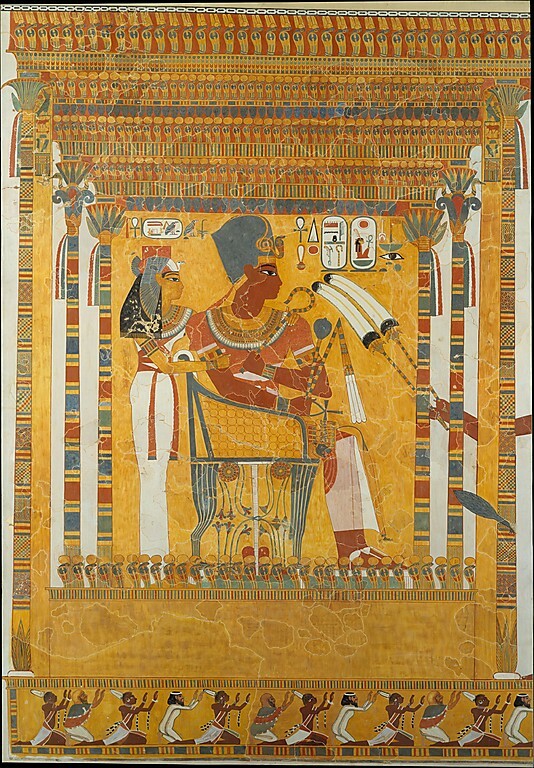 Amenhotep III and Queen Mutemwia. Let's again put ourselves in the sandals of the guest from Hatti to see how international relations were affected by imagery in the royal hall. While prostrating, you would surely have a good look at the dais, a platform elevating the king above all others in the room, which was sometimes decorated with bands of captive bound foreigners. 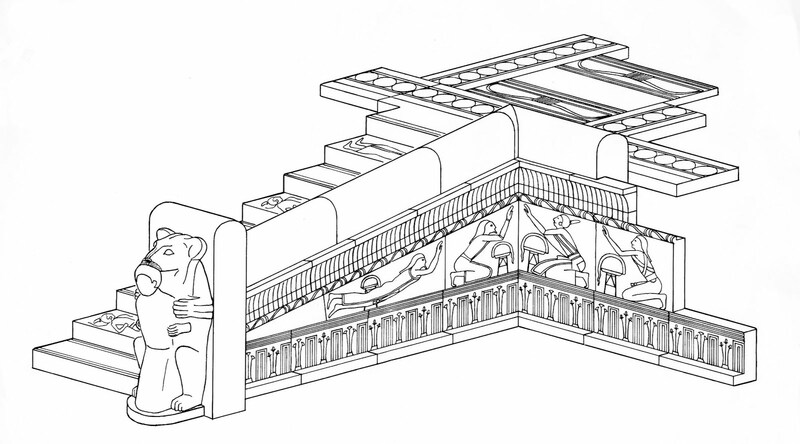 Captive Levantines and Nubians could also be rendered on the throne base, throne arm, footstool and cane of the king. 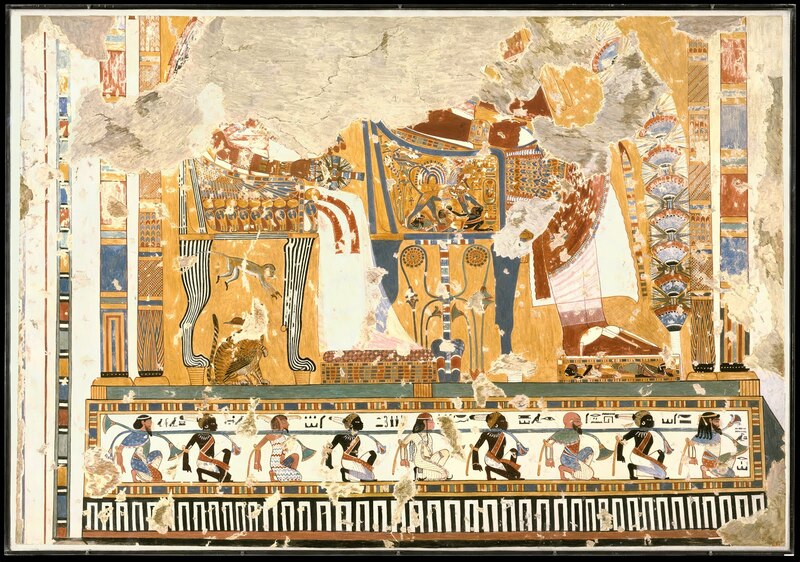 Emissaries at the palace of Ramesses II at Qantir would have even seen versions of themselves with their heads being gnawed off by a lion at eye level when bowing to the king. The stairs leading up to the throne could also be inlaid with images of dead foreigners that the king would trample en route to his throne. Without saying a word the captive foreigner imagery conveys a royal threat - if you do not obey the king, you will be crushed. Such depictions elevated the king in discussions with foreign emissaries at the palace. But the story does not end here. Upon returning home the foreign delegates would relay their experience to their king. 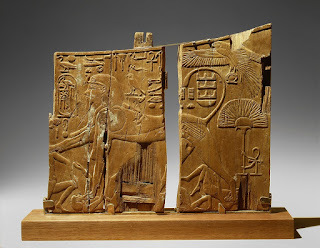 In letters corresponding with the pharaoh (written in Akkadian, not Egyptian) brother kings expressed concerns that the parity established through friendly letters and gifts was not being properly expressed to the people of Egypt. In one letter a Babylonian king inquires why his gifts were being displayed with those of a vassal state's tribute. In another, a Hittite king is upset with the fact that Ramesses II represents a military victory on Egyptian temples when the battle actually resulted in a draw. Such correspondence reminds us of one of the basic problems in interpreting the historical record. If there is a state sponsored version of reality, another version of reality corresponding with the archaeological record likely exists as well. If written down, we may even come across a third or a fourth version, as understood by separate ancient kingdoms. These different realities can exist at the same time within the minds of the people who are actively creating history. By imagining circumstances that existed in the past the modern reader is reminded to be alert to narratives propagated through state sponsored ideologies. By identifying historical precedents, including 'magical' ones, perhaps scholars can help limit the damage when political realities collide today. 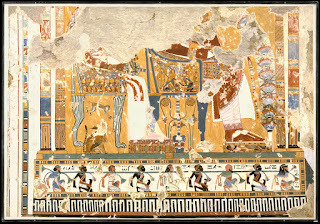 Flora Brooke Anthony holds a PhD from Emory University and is the author of Foreigners in Ancient Egypt: Theban tomb paintings from the early Eighteenth Dynasty (1550-1372 BC). Flora Brooke Anthony, Ḥeka: Understanding Egyptian Magic on Its Own Terms in Exodus Story: Meet the Egyptians, Torah and Biblical Studies. TheTorah.com. Flora Brooke Anthony, The Magicians Khamwaset and Meryra in Exodus Story: Meet the Egyptians, Torah and Biblical Studies. TheTorah.com. Flora Brooke Anthony, How the Egyptians Viewed Foreigners in Exodus Story: Meet the Egyptians, Torah and Biblical Studies. TheTorah.com. Geraldine Pinch, Magic in Ancient Egypt. Austin: University of Texas Press, 2010. Robert Ritner, The Mechanics of Ancient Egyptian Magical Practice. Chicago: Oriental Institute of the University of Chicago, 2008. Many of the most vivid portraits from the ancient world are not of emperors, but rather of local elites that lived in Roman Egypt. The dry climate of the province helped to preserve stunning portraits of men, women and children that now occupy museums across the world. But how did they get there? In 1888, a cache of portraits was found in the Fayum region of Egypt. Prior to 1887, only of few of these precious mummy portraits were known to the modern world and most survived on painted linen shrouds. The excavations undertaken in 1888 and then again in 1911 by a British archaeologist named Flinders Petrie for the Egypt Exploration Fund (based in London and founded in 1882) at the site of Hawara turned up a number of painted mummy portraits with striking features and piercing eyes. Petrie was fascinated by the ancient eyes staring back at him, and the rest of the world would be too. 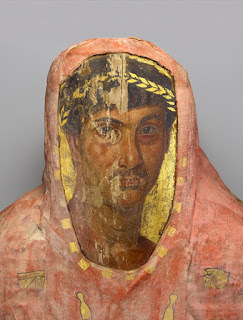 Mummy with Cartonnage and Portrait, 50 - 100 CE, Wax tempera and gilding on a wooden panel; linen and encaustic. Now at the Getty Museum. Petrie is often praised for his systematic archaeological approach and use of documentation while working in Egypt; an approach that would inform the professionalization of the field. The influence of his wife, Hilda Petrie, is less known but was also quite valuable to the dig. The Fund that the Petries worked for had strong ties to the British Museum through its curators and was formulated at the beginning of the British occupation of Egypt (1882-1956). Petrie noted that only a small number of mummies contained such portraits, but that these pieces of wood and linen had vivid colors painted on them that transmitted portraits of regular people from the ancient world. Petrie and an Austrian businessman named Theodor Graf (1840-1903), who bought many of the portraits taken from the cemeteries at er-Rubayat and elsewhere, together introduced this unique type of portraiture to the rest of western Europe--albeit with the aid of colonialism and loose antiquity acquisition policies. The Pitt Rivers Collection notes of this acquisition record: "On 7 August 1889, General Pitt Rivers purchased from the Reverend Greville John Chester (1830-1892) for £6 a frame containing "portions of mummy portraits from the Fayoum Egypt." The sale and then display of the portraits within museums predominantly in Europe at that time were part of the "Egyptomania" that gripped the continent in the late 19th and early 20th centuries. A number of the portraits were immediately placed within the British Museum by Petrie. Egyptomania would spread to the U.S., particularly with the discovery of King Tutankhamen's tomb in 1922 by British archaeologist Howard Carter. 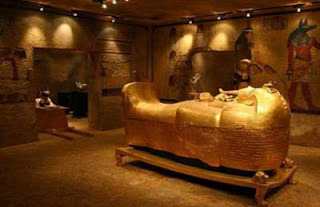 The traveling King Tutankhamen exhibit would later bring in thousands of visitors as it travelled across the globe. In terms of their creation, many of these portraits transmit a specific type of painting method called encaustic. This is an ancient technique now partially lost to us. It mixed pigments with hot wax, which was then often applied to wood. Encaustic painters worked to make commissioned portraits and practiced the technique particularly between the first and fourth centuries CE. This was when the Roman influence in Egypt was becoming more apparent; however these portraits show a striking blend of the two cultures. Head view of a mummy with cartonnage and portrait now at the Getty Museum. The mummy is a man named Herakleides and dates to the late first century CE. Some of the most vivid portraits are now housed at the Getty Museum in California. An open-access digital book on the Getty's mummy portraits was re-released online as part of the Getty Open Content program. The book details much of the history of these portraits in the 19th century and recounts the clamor by various museums and private collectors to acquire them. As art historian David Thompson writes, "These extraordinary Egyptian images produced from Julio-Claudian times through the age of Constantine (the first four centuries A.D.), seem often to have been commissioned while the subject was still alive and displayed in the home. 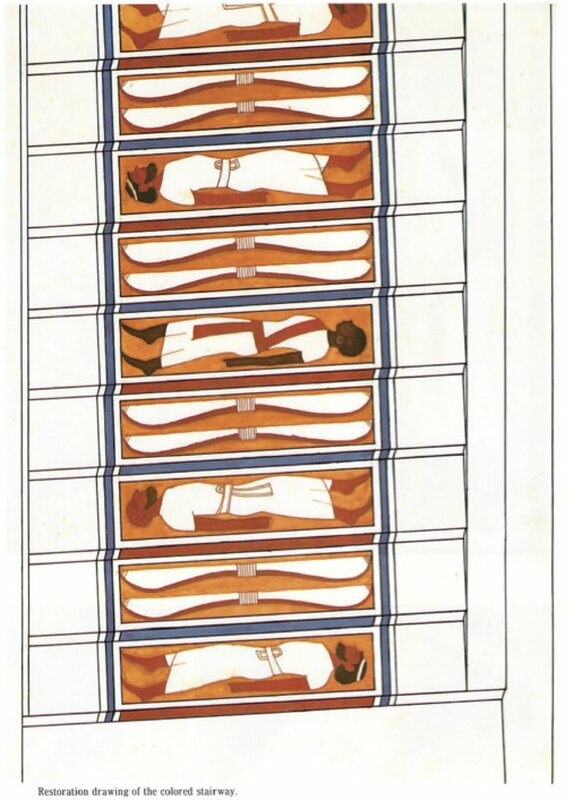 At death, the portrait was inserted into the deceased's mummy wrappings." Many of the portraits are idealized renderings of the deceased prior to their time of death and may not always be an accurate recreation of the subject, but hey, why not use a little ancient photoshop if you have the means? Interest in the ancient encaustic method inspired American artists such as Jasper Johns to try his hand at it. In 1954 he made his famous work "Flag" which used encaustic methods on fabric and plywood. 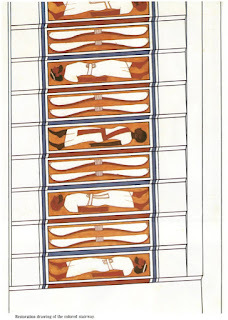 As the Metropolitan Museum of Art noted in a show on their own collection of mummy portraits, "Mummy portrait panels consisted of a variety of woods — indigenous (sycamore), imported (cedar, pine, fir, cypress, oak), and possibly imported, but also growing in Egypt at the time (lime, fig, and yew). Some portraits are painted on linen stiffened by glue." Johns' painting now sits in the Museum of Modern Art in New York City, but originally had an ancient inspiration. Johns noted about the piece: "One night I dreamed I painted a large American flag, and the next morning I got up and I went out and bought the materials to begin it. And I did. I worked on that painting a long time. It's a very rotten painting—physically rotten—because I began it in house enamel paint, which you paint furniture with, and it wouldn't dry quickly enough. Then I had in my head this idea of something I had read or heard about: wax encaustic. " Johns had seen a number of mummy portraits and wanted to try the method himself--but with a modern twist. The display of mummy portraits in North America and Europe is extensive. Collectively, there are around 1,000 ancient portraits generally from the Fayum region of Roman Egypt. Yet it is often overlooked exactly how they were found, the colonial history of their acquisition by western museums and the impact these portraits have had on the way we see the people of the ancient world. They are haunting works of art, no doubt, but also demonstrate the diversity, color and cultural fusions of the ancient Mediterranean in a way that is unparalleled. 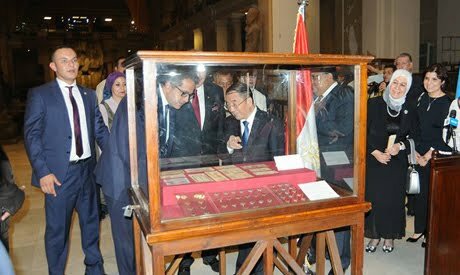 Egypt's Minister of Antiquities, Khaled El-Enany, handed over a collection of authentic coins, currencies, and bonds to Iraqi Ambassador Habib Mohamed Hadi Al-Sadr and to Chinese Ambassador Song Aiguo in a formal ceremony at the Egyptian Museum in Tahrir Square on Sunday. The returned artefacts had been seized before they could be successfully smuggled out of the country. 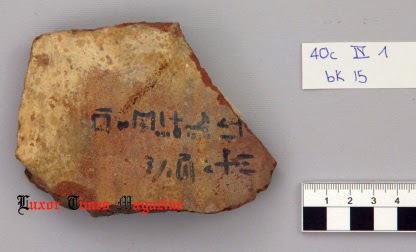 "The artefacts were handed over in accordance with the UNESCO agreement which Egypt joined in 1972, and in accordance with bilateral collaboration agreements which obligate Egypt to seize foreign antiquities if they are smuggled through its territories, and to show them to the relevant embassy in order to check whether they are on their heritage list in attempt to guarantee the protection of their cultural properties," Ahmed El-Rawi, who runs the ministry's unit which oversees antiquities inspections at ports, told Ahram Online. The 44 Iraqi currency pieces, which date back to the early 20th century reigns of Kings Ghazi I, Faisal I, and Faisal II, were seized at Cairo International Airport. The 13 Chinese bonds and Yuan banknote were seized at the Ramses Post Office port and hold clues to the economic status of the Qing royal family, which ruled the Chinese Empire from the 17th until the 20th centuries. During the ceremony Ambassador Aiguo described the return of these artefacts as "an important part of bilateral cooperation between both countries, as well as a specific move to jointly protect antiquities." Ambassador Al-Sadr noted in his speech that he very much appreciates Egypt's efforts to protect stolen Iraqi antiquities and that their return reveals the strong friendship and collaboration between the two countries. Sarah Parcak on the ethics and future trajectory of space archaeology in the region. For almost 20 years, Sarah Parcak, professor of anthropology at the University of Alabama, Birmingham, has combed through satellite images of Egypt and the Middle East to find clues to ancient landscapes. Parcak's resume is impressive. She won the $1 million 2016 TED prize, has written a seminal textbook on satellite archaeology, as well as numerous other scholarly publications on the topic. She's also the director of the Joint Lisht Mission with Egypt's Ministry of Antiquities, excavating the extensive ancient cemetery and Middle-Kingdom pyramids of Lisht, 65km south of Cairo. Nature Middle East asks Parcak about her expertise with satellite archaeology in the region. 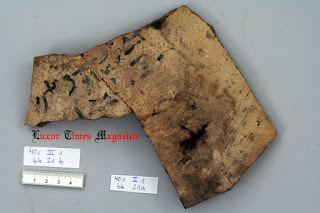 What is satellite archaeology or space archaeology? It is remote sensing using both airborne and space platforms as different ways to look at the Earth's surface for things that may or may not be recognizable to the naked eye, and to recognize patterns that may indicate where past human remains are located. It's a relatively new, and yet familiar field. A lot of people don't realize that the military started using aerial photography and satellites because of archaeology. Back in WWI when planes started to be used in the Middle East, a lot of amateur archaeologists and archaeologists generally slipped in and took pictures of the archaeological sites they were seeing. And once the military folks saw them, they realized they could use planes to see things. So archaeologists kind of started remote sensing generally, and now we rely on the satellites the military has ended up developing. Satellite archaeology and the military seem to have been linked for a long time. 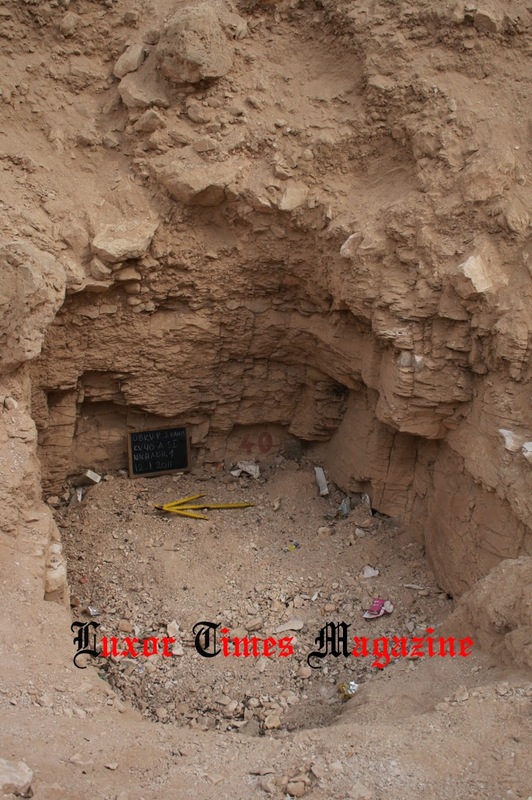 Are the satellites used in archaeology in the Middle East mostly from the military? They're not. The majority of satellites archaeologists use for long-term landscape changes come from NASA, and the great news about NASA imagery is that it is free. For commercial satellite data, most of us use DigtialGlobe, the largest provider of high-resolution satellite imagery in the world. They're based in Colorado. Most often it is online and it's very easy to get. If you're an archaeologist working at a site or a region, you can get high resolution satellite data of you site for a few hundred dollars. You've been doing satellite archaeology for a long time and have seen it change and grow. Where do you see the field going? I think it's become standard archaeological practice now. Certainly every archaeologist has the ability to use Google Earth. Even though a few hundred dollars isn't free, most projects can afford to buy a high resolution satellite map of their site. So, I think there is a lot more open mindedness about it. I think the future is already happening, a lot more people are using drones on their sites, you can get great maps really quickly. There are sensor systems now that you can out on your drones — so things like LIDAR, a laser mapping system or hyper-spectral sensors for satellites so you can see different parts of the light spectrum. With a hyper-spectral camera on a Lidar or a drone, you can see the entire light spectrum, or most of it. So, I think the future's going to be a lot more drone mapping. There are also political limits to using drones. Many counties are not too comfortable with that. Yes. For example, you can't use drones in Egypt and I respect the rules and regulations in that case. Or, you could be in a war-torn area where you can't fly a drone for obvious reasons. So, in that case, very high-resolution satellites sensors are going to be essential. DigitalGlobe's latest satellite called World View 3 and now World View 4 has a resolution of 0.3m, which is amazing - it's 11 inches. […] The quality of the data is extraordinary. We've been able to map the entirety of sites in the [Nile] Delta. And the quality is just as good as magentometry or ground penetrating radar […] When we're applying for grants, [we're] able to say, "this is the exact part of the site we want to work at because there is a temple or a palace or a middle-class house and here's the proof." That's amazing and it's certainly going to change the field. And what happens when we have all this data? There is more data than we know how to get our heads around. There aren't great methodologies. It's all exciting, but there are huge ethical issues to contend with. Let's just say you're an archaeologist and you're working at a site whether it's Egypt, or Jordan, or elsewhere. You make an amazing discovery, find a new place, or part of the temple. People know you're in the field, and hear rumours that you found something amazing. What's to stop an unethical person from getting a satellite image to expose what you've found? What are the rules? Certainly in Egypt any new discoveries have to be announced by the Ministry, that's the law. And there are similar regulations in a lot of the world. So what happens when that discovery leaks? How do you protect it? So, could looters use satellite archaeology to learn where to look? They're using Google Earth, already. Like with any scientific advancement or improvement in technology, it can be used in many different ways. Right. I guess the good news is that Google Earth is great, but you can zoom in and out. That's the limit of what you can do. And it's not like anybody can go on DigitalGlobe.com and find an image and order it. You have to fill out paperwork. There are definitely checks in place so this data isn't available to everyone. For the Middle East, it seems that governmental antiquities organizations will have active satellite or remotes sensing and imaging departments within their administrations. Is this something that you see happening? For example, the Ministry of Antiquities in Egypt, already has a department that deals with mapping. There are already people who are Geographic Information System specialists. But the challenge of course is the number of individuals who are trained and the access to data, so this is why these joint missions [with the ministry] are so important because they provide official and government approved mechanisms through which you could share data with the ministry. 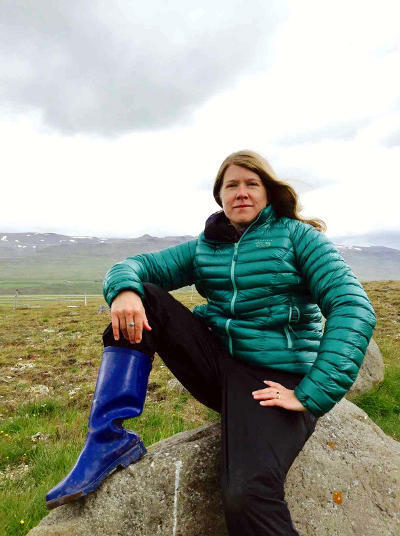 In this episode of Nature Middle East Podcast, Sarah Parcak talks about how war and conflict are creating a sense for urgency for scientists in the field. More than 3000 years after they died and after more than a century and a half of being closely studied by accomplished archeologists, two mummies are making their public debuts at Tulane's Middle American Research Institute, located in Dinwiddie Hall. Tulane's private collection of mummies and related Egyptian artifacts will become accessible to more students due to a storage environment upgrade. The collection had been held in storage for more than 150 years, including a brief stint in the former Tulane Stadium. "I mean, how many universities have an Egyptian collection," Maria Ragas, a Tulane undergraduate alumna and Tulane School of Professional Advancement student said. "We kind of thought it was a shame that they were in a closet and not being displayed or taken care of properly," Ragas said. "I mean, how many universities have an Egyptian collection?" "We try to cover as much of the world as we possibly can because we are interested in preserving cultural heritage, however it comes to us," Canuto said. 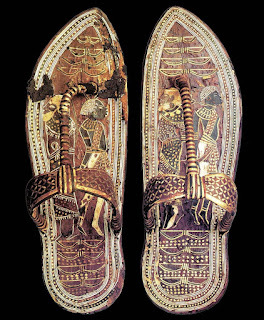 "[The Egyptian collection] gives MARI the opportunity to say 'Look at what we do.' We try to cover as much of the world as we possibly can because we are interested in preserving cultural heritage, however it comes to us," Canuto said. "So this is a great example." After being dissected, unwrapped and brought on tour in the 1850s, Djedthothiufankh's remains are in a fragile state, exacerbated by the inconsistent temperature and humidity of New Orleans. 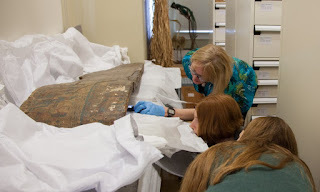 Updating the storage system for the mummies and other artifacts is especially important to making sure the collection and mummies can remain case studies for years to come. "Because of the collection's unique history – both ancient and modern – it can provide instructive examples for a wide variety of subjects and interests, including history of science, 19th-century American history and culture, anthropology, art history, Egyptology and, of course, the history of Tulane itself," Nelson-Hurst said. "I bring students from every course that I teach to see the collection in its current storage conditions," Nelson-Hurst said. "… For example, for my 'Death and Burial in Ancient Egypt' course last fall, my students conducted case studies on our male mummy …"
"I feel like the city of New Orleans, in general, is a very, very rich historical [place] – people here are eclectic, they love the history, they love architecture, they love all these treasures of the past, per se," Ragas said. The mummies have played a long and integral role in Tulane's anthropology department. Nelson-Hurst said she believes students can gain significant insight from being academically involved with the Egyptian Collection. "Tulanians should take pride in and an interest in the university's Egyptian collection – one of the oldest in the country, which has been at the University since before it was even called 'Tulane,'" Nelson-Hurst said. "It has so much to offer us as a window into not only the ancient past, but also our own history at Tulane and in America more broadly." Ragas voiced a similar opinion on the importance of the mummies' history to the Tulane community. "I feel like the city of New Orleans, in general, is a very, very rich historical [place] – people here are eclectic, they love the history, they love architecture, they love all these treasures of the past, per se," Ragas said. "So, I feel like that is one of the reasons students come here, is to experience that. To just be able to have another portion of history available, I think, is great." This sculpture of an Egyptian pharaoh was found in the ancient city of Hazor in Israel. It was constructed around 4,300 years ago, at a time when pyramids were being built in Egypt, and was smashed apart when Hazor was destroyed around 3,300 years ago. 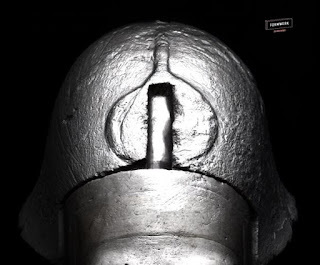 A sculpture of an unknown Egyptian pharaoh's head, found at the ancient city of Hazor in Israel, dates back around 4,300 years, to a time when Egyptians were building pyramids. The sculpture was smashed apart around 3,300 years ago, possibly after an Israeli force led by King Joshua destroyed the city, researchers have found. Researchers said the sculpture, excavated and reconstructed in 1995 and discussed in the recently published book "Hazor VII: The 1990-2012 Excavations, the Bronze Age" (Israel Exploration Society, 2017), leaves them with a number of questions: Which pharaoh does it show? Why was it transported to Hazor? And why did it survive for a millennium before being smashed apart when Hazor was destroyed? 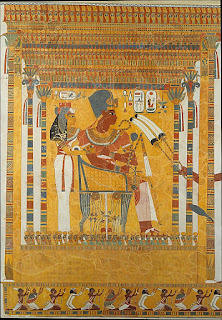 "The person depicted wears a short, close-fitting, curled cap wig, topped by a uraeus, the solar cobra that rises above the forehead of [a] pharaoh in ancient Egyptian iconography, thus identifying our character as a king of Egypt beyond any doubt," wrote Laboury, a senior research associate at the Belgian National Foundation for Scientific Research (F.R.S.-FNRS) at the University of Liège, and Connor, a curator at the Museo Egizio in Turin, Italy. "The rendering of these facial features on the piece from Hazor are characteristic of the 5th Dynasty [circa 2465-2323 B.C. ], although it does not seem possible to determine with any certainty which king it depicts," wrote Laboury and Connor, who also noted that the head was once part of a larger statue. A view of the front of the royal head. Hazor was destroyed in the mid-13th century B.C., possibly by an Israeli force led by King Joshua. A passage from the Book of Joshua in the Bible claims that Joshua's force destroyed a large army led by "Jabin," a king of Hazor. The passage also says that after destroying the army, Joshua sacked Hazor. "Joshua turned back and captured Hazor and put its king to the sword," the biblical text from Joshua 11:10-11 reads. "Everyone in it, they put to the sword. They totally destroyed them, not sparing anyone that breathed, and he [Joshua] burned Hazor itself." 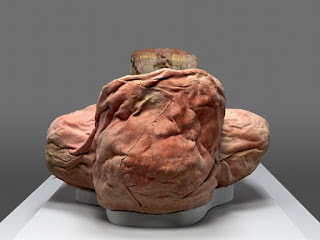 Whether the Israelis were actually the group that destroyed Hazor is a matter of debate among scholars, but research shows that the city was sacked and this sculpture was one of many statues that were smashed. "The cracks indicate that the nose had been broken and the head detached from the rest of the sculpture before being shattered," wrote Laboury and Connor in their report. 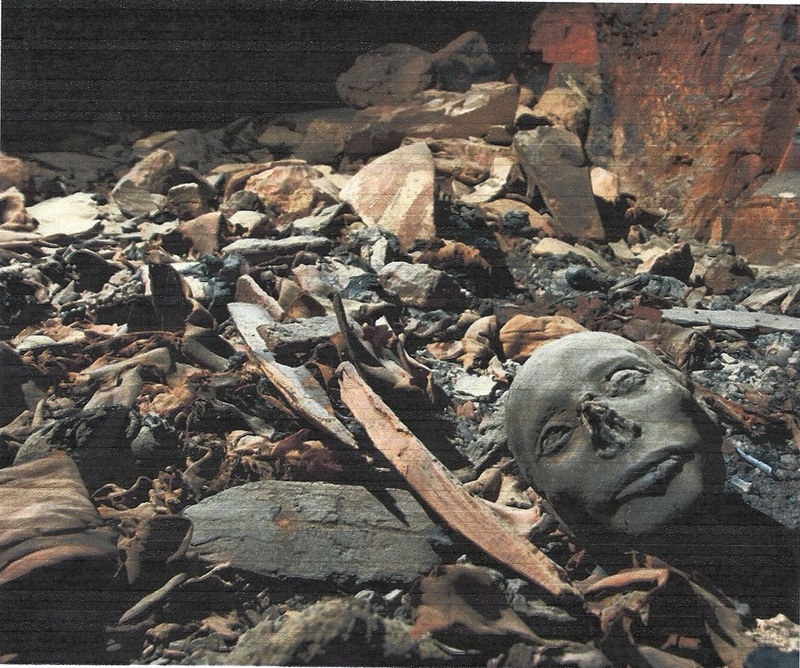 "Interestingly, no other part of the statuette to which it had originally belonged was recovered at the site." A number of Egyptian statues have also been discovered at Hazor, including one found in 2013that has the paws of a sphinx. 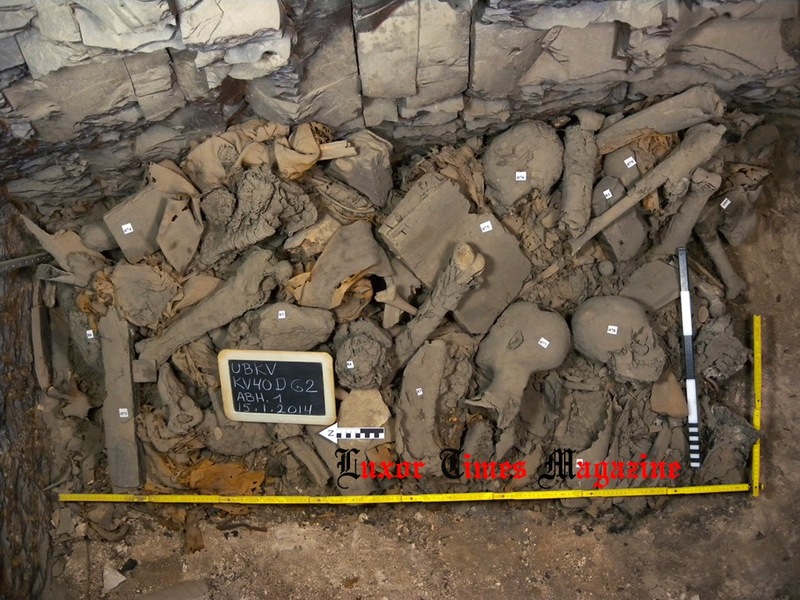 "Given Hazor's location in northern Israel, the number of Egyptian statues and statuary fragments uncovered at the site is surprising," a team of scholars wrote in another report published in the book. "All statues appear to have been deliberately smashed to pieces." 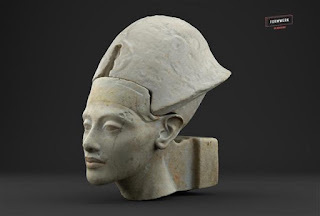 Up until now, if you wanted to set your eyes upon the rare Ancient Egyptian bust of Akhenaten you would have had to bustle through a crowd at Hannover's Museum August Kestner and peer past a casing of protective glass. Now, however, thanks to 3D scanning technologies, you don't even have to make the trip to Germany to see the stunning artwork. 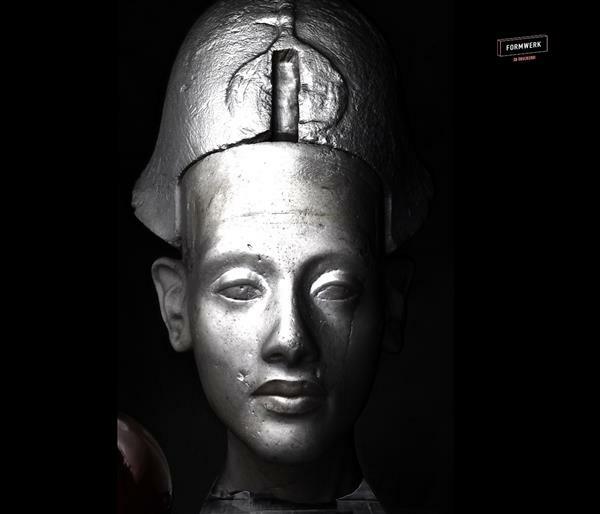 The bust, which was found with a limestone crown, dates back to the 18th dynasty, when Akhenaten was Pharaoh of Egypt. 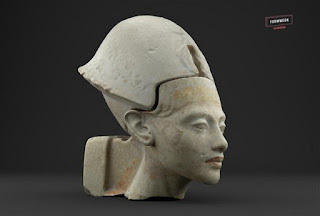 Speculation about the bust, found in the ruins of Hermopolis, reveal that it was probably from the late stages of Akhenaten's reign, and depicts the pharaoh as a young man. In collaboration with local 3D printing service Formwerk3D, the German museum recently undertook a project to digitally scan and capture the pharaoh's ancient bust. To complete the scans, the Formwerk3D team used a variety of 3D scanning equipment, including Artec's Eva-M structured light 3D scanner, photogrammetry, and RTI. As the digital capture team explained, the lower-resolution Artec scanner was used to reproduce the bust in real dimensions, which helped to scale the other scans. Photogrammetry was used to capture high-resolution images of the bust, which were stitched together and processed at Formwerk3D's office. RTI, or Reflectance Transformation Imaging, was used to capture a finely detailed surface relief (they describe it as a 2.5D model) of the bust. This method involves setting up a stationary camera in front of the object and having a bright light pass over the object, gradually illuminating every part of the bust. As the camera captures every stage of the illumination, the resulting images can be processed together to form a highly detailed surface model of the artwork. 3D scanning offered the museum a way to digitally preserve the famous and delicate bust in a completely non-invasive way. As Formwerk3D says, it was able to complete all the scans of the bust in just a few hours, which meant that the Ancient Egyptian artefact could be returned to its armored casing quickly. The 3D scans of the Akhenaten bust, like many 3D models of artefacts, can be used for a number of applications. 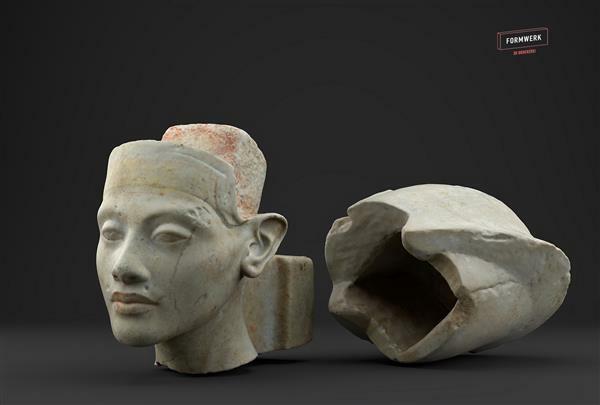 For instance, the digital 3D model can allow for multiple researchers—from anywhere in the world—to simultaneously examine Akhenaten's bust in great detail without waiting to visit the original. Additionally, the 3D scans will make it possible to examine details of the bust up close without risking any damage to the original artefact. Researchers are also able to make new renderings and images of the bust without having to move or alter the original bust in any way. 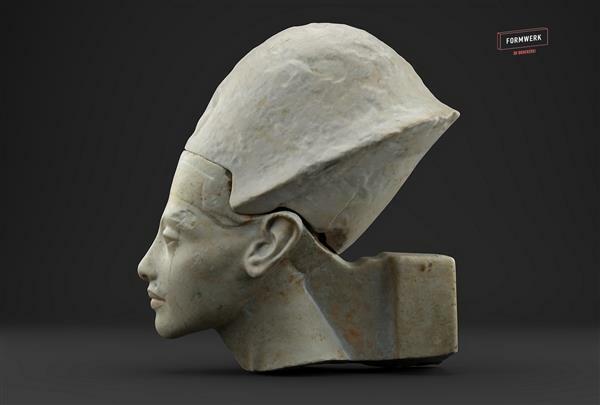 The museum also has the option of putting the 3D model of the Egyptian bust online, giving people everywhere the ability to view the stunning portrait without having to travel across the world. "These models can be displayed in a platform-independent manner, thus attracting visitors to the originals," says Formwerk3D on its website. "In addition to purely visual presentation possibilities, these online models can be provided with written and acoustic annotations in order to always provide the correct context." 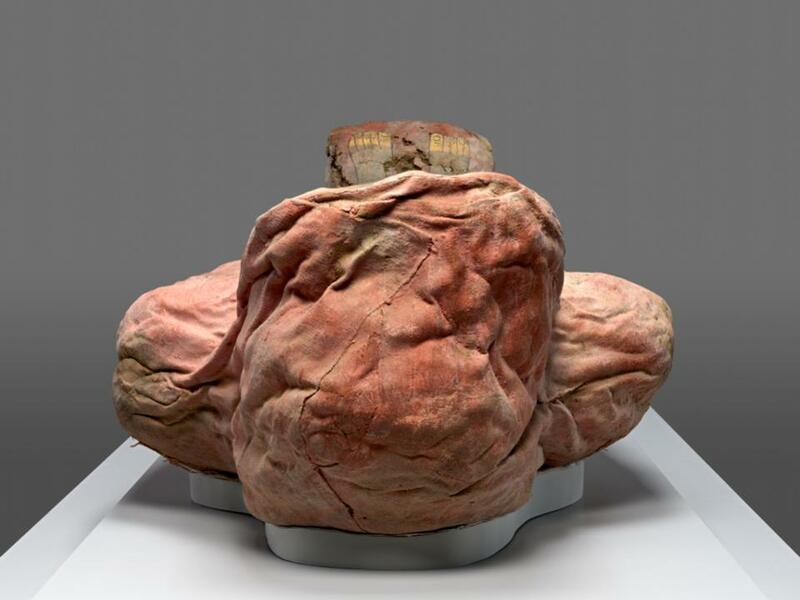 The 3D model can also be presented in the museum space as well, as it could offer visitors an interactive and in-depth way of seeing all angles of the ancient bust, all while looking at the original piece. Other possible applications include making tactile 3D prints of the bust for the visually impaired, and 3D printing miniatures of it to be sold in the gift shop. The Museum August Kestner is getting in on a recent museum trend of capturing ancient artefacts and famous artworks using high-definition 3D scanning technologies. In Japan, an effort is being made to preserve Buddhist statues and other cultural artefacts with 3D scanning, while the technology has also helped to digitally recreate ancient monuments destroyed by ISIS in Syria. Sorry, the previous post on this topic was old news, from 2014. Here's the 2014 article. 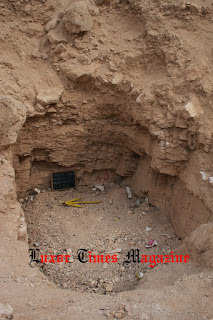 Karrar said that the wood and cartonnage remains found point out that this tomb was reused after the Valley had been abandoned but that it was not used by royalty. They also confirm that some priests from the 9th century B.C. have been to this place. 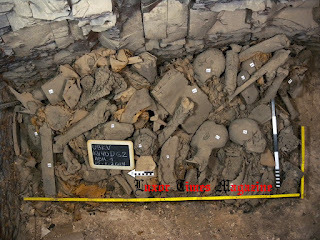 Anthropological analysis and further examination of the remains will help form a better understanding about the ancient Egyptian royal court and the rites of burial in the eighteenth dynasty.